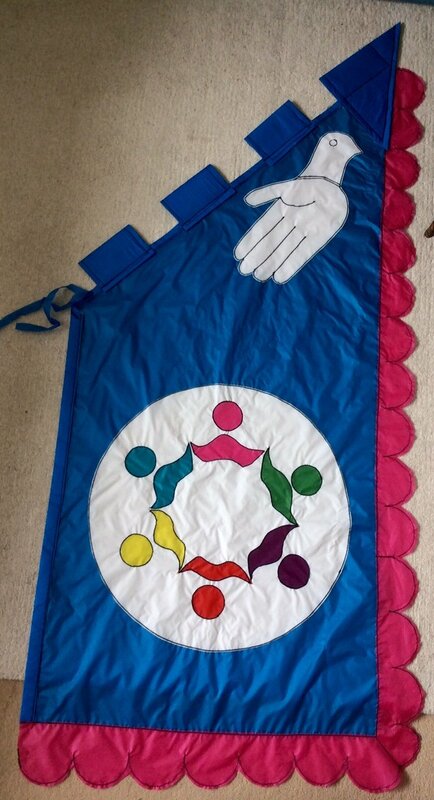 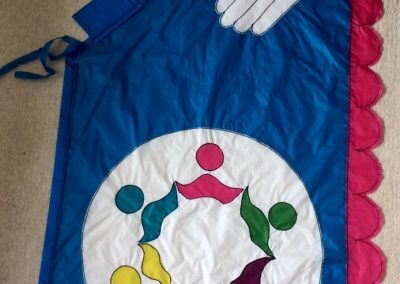 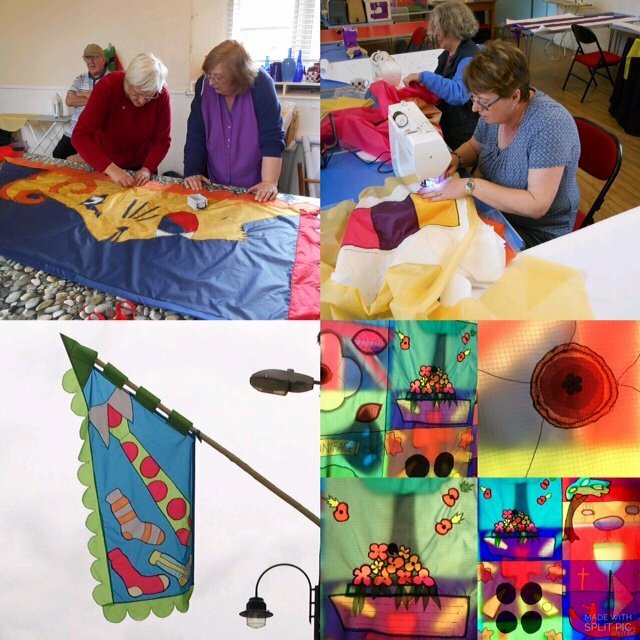 Since the Flag Project began in 2013, more than 70 local groups and businesses have designed and made their own flags out of brightly coloured ripstop nylon, each one representing their role in the community. 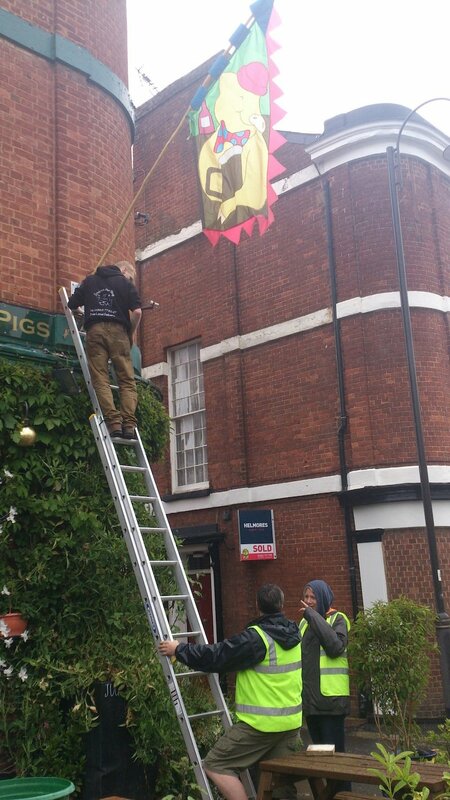 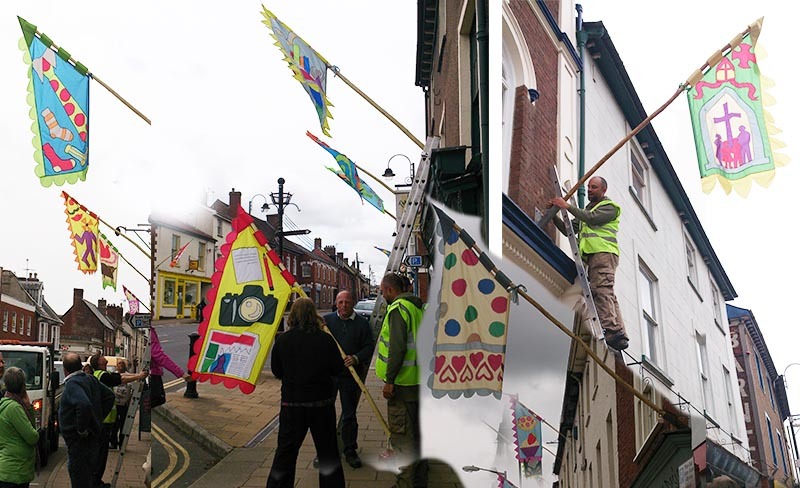 During the summer the flags are hung above the High Street shops to decorate the town centre and celebrate our town’s creativity. 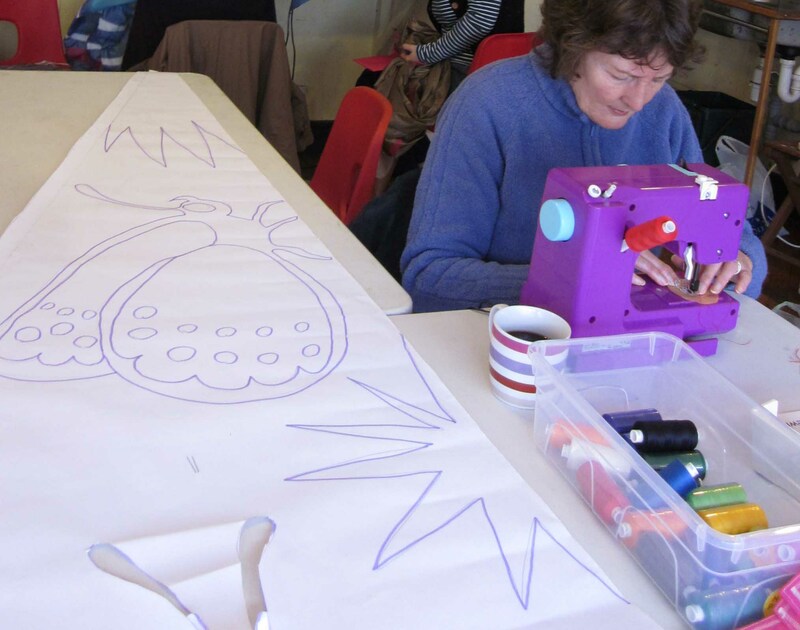 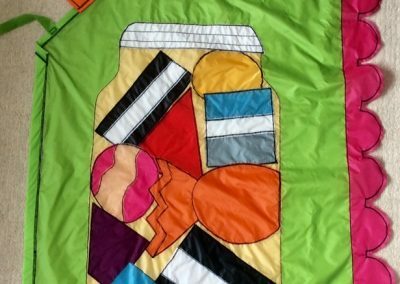 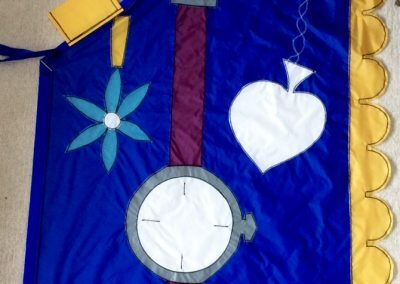 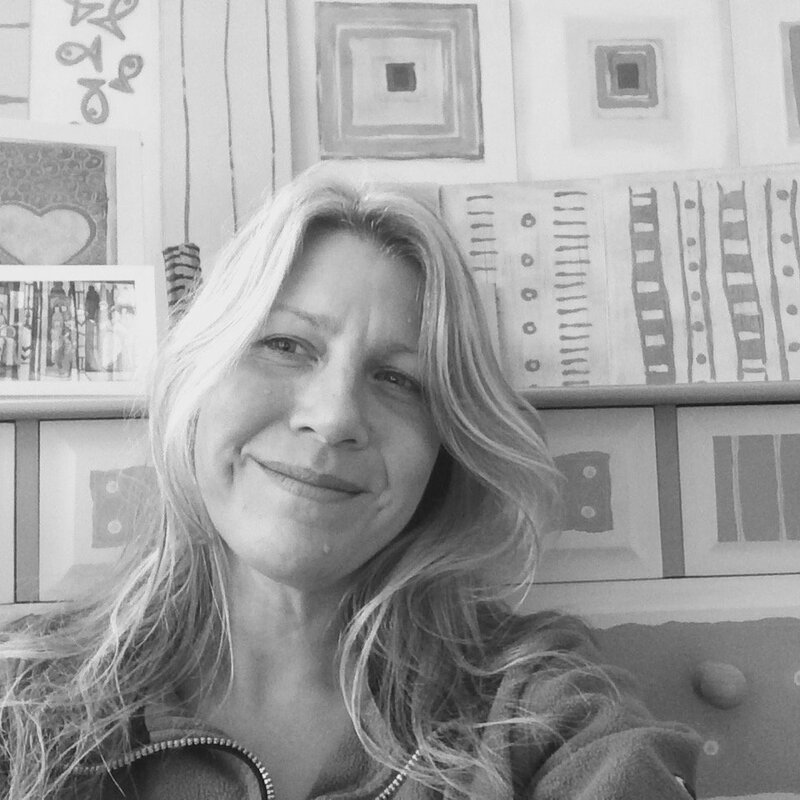 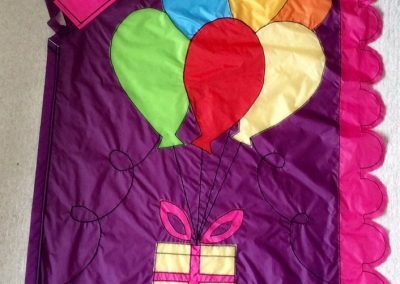 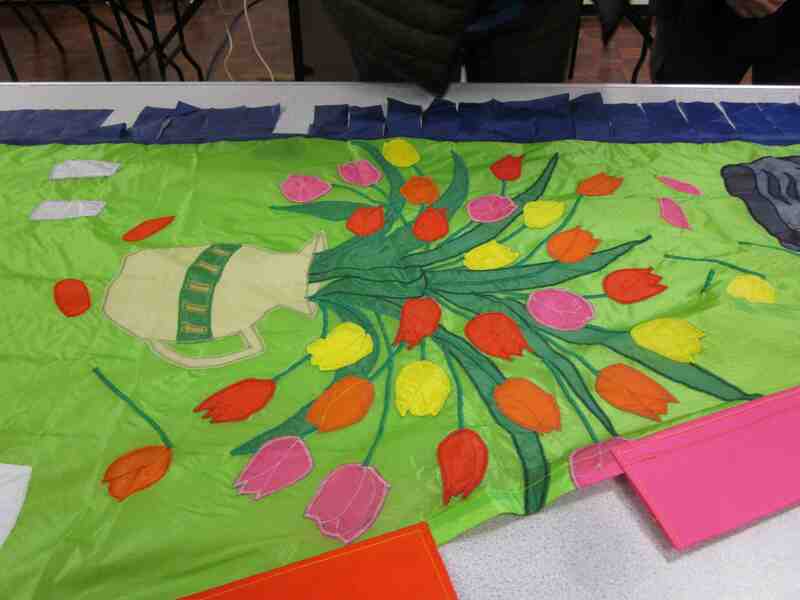 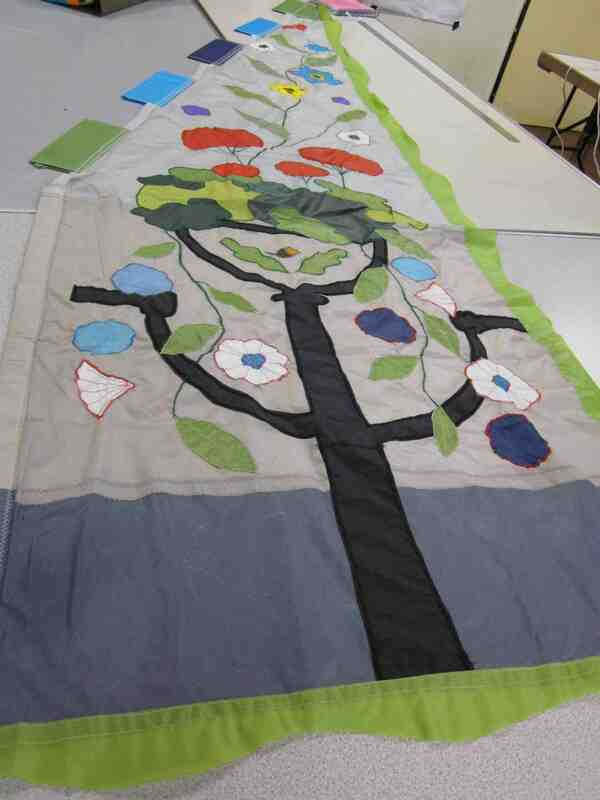 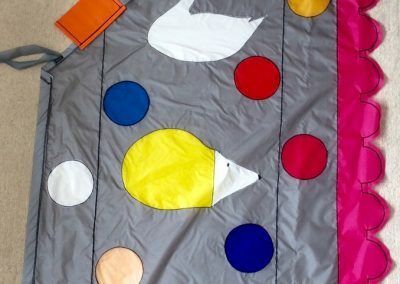 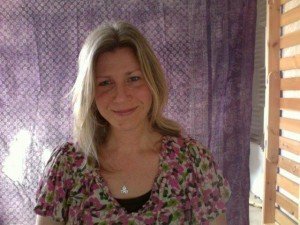 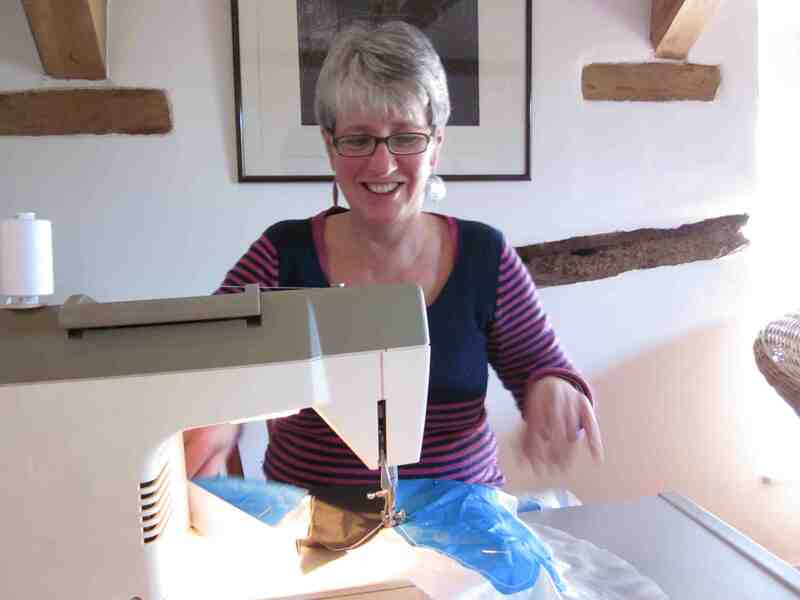 For the past 6 years flag making workshops have been led by local artist Charlotte Turner, who has helped people turn their ideas from rough sketches into large-scale flags. 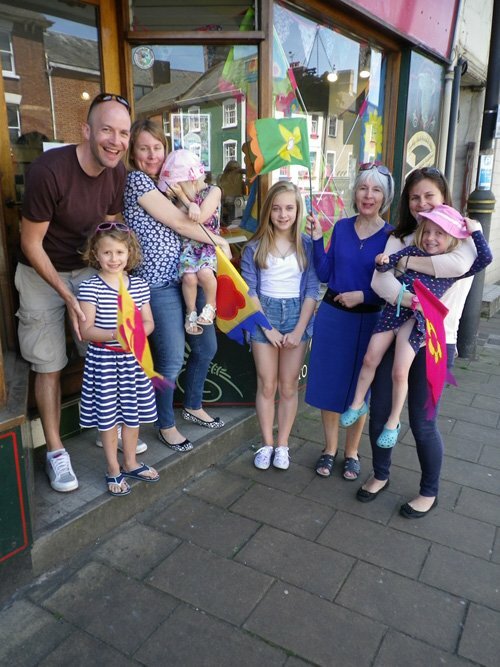 Admired by locals and visitors, the flags don’t just brighten up the High Street, but have a more serious purpose of increasing footfall and trade in the town. 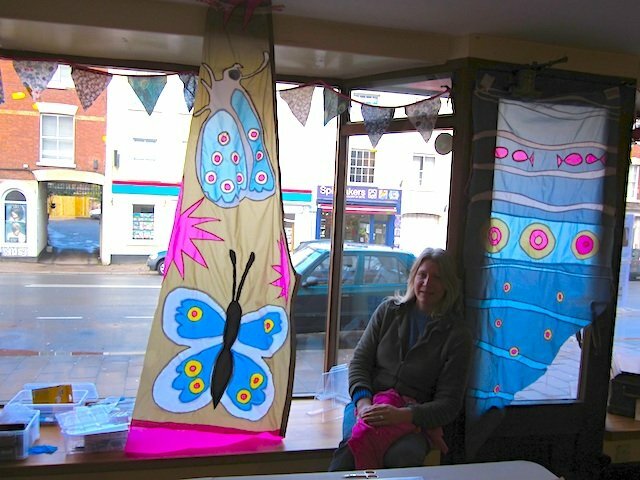 The project, initiated by Crediton Arts Centre as part of the 2013 Crediton Festival, was taken over by the Town Team in 2015. 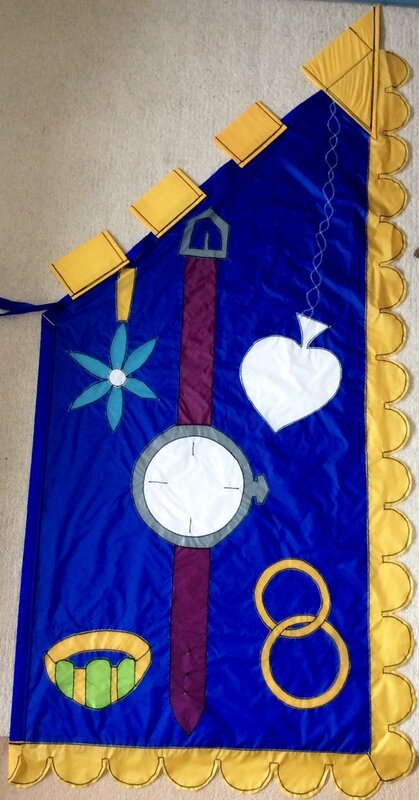 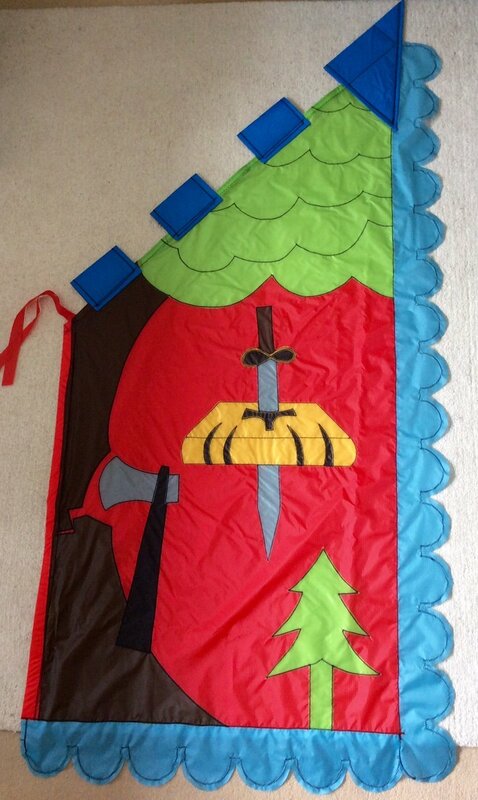 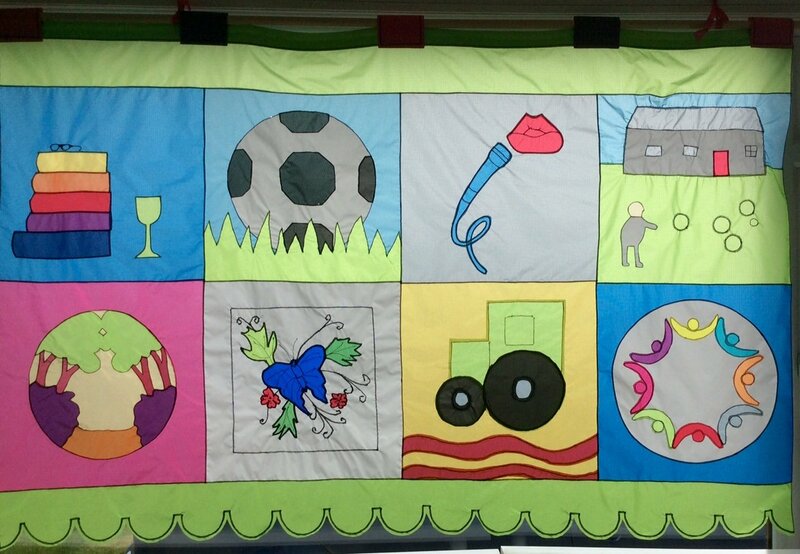 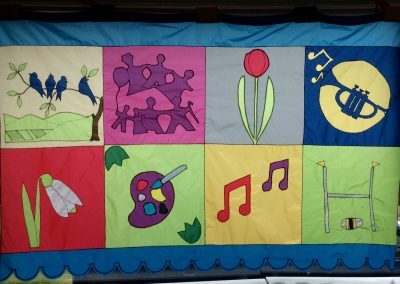 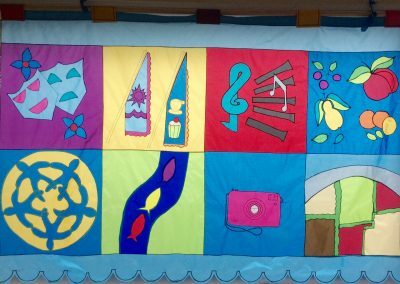 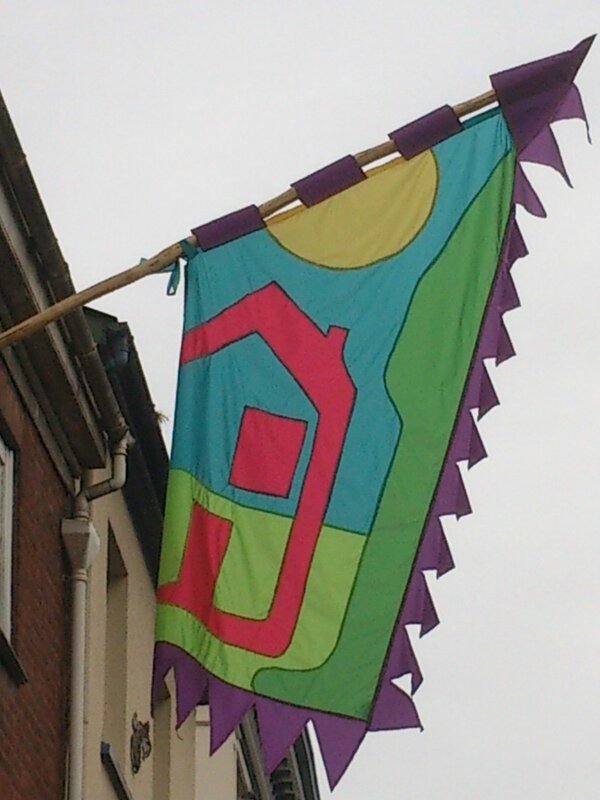 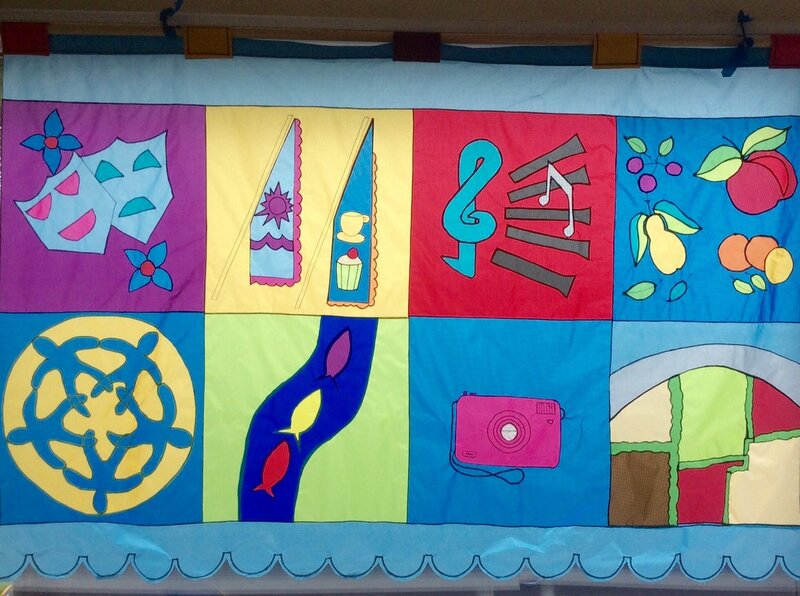 Originally inspired by the Mortonhampstead Flag Festival, Crediton’s flags have in turn been imitated by other towns in Devon and beyond. 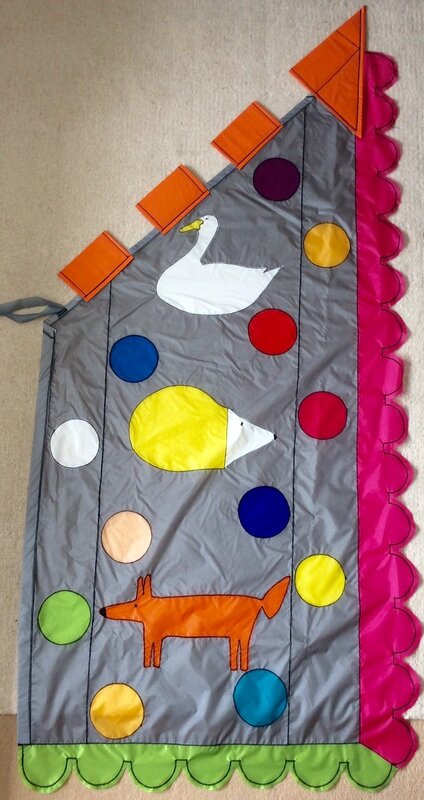 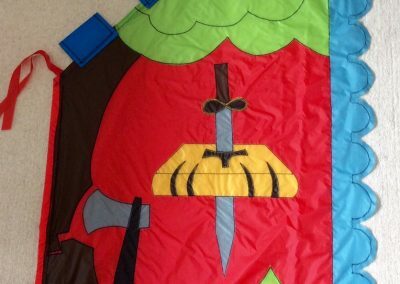 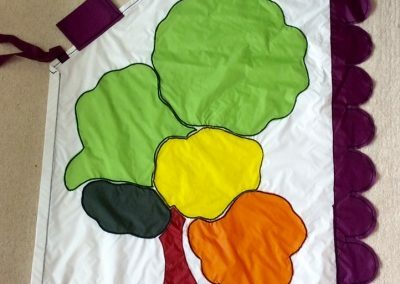 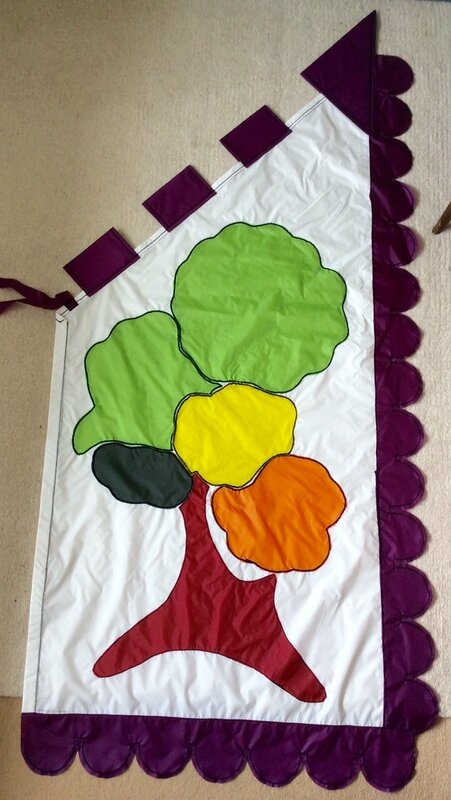 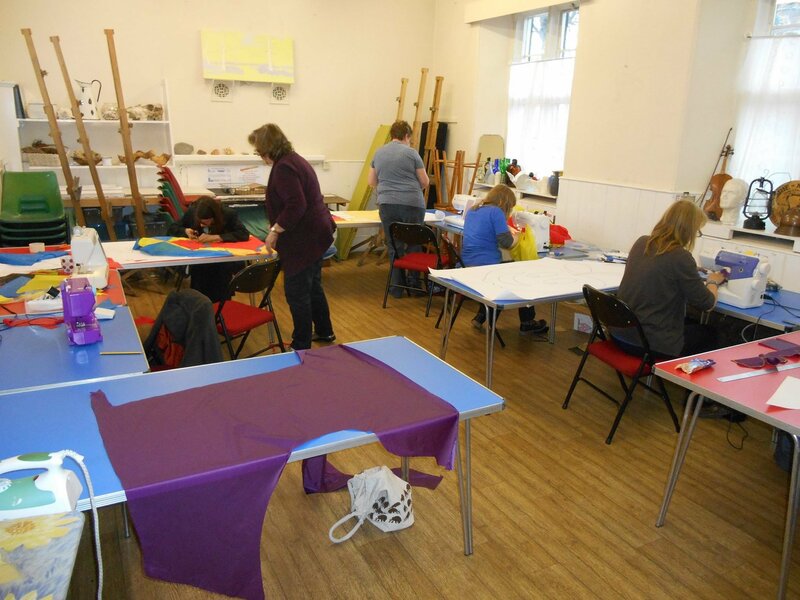 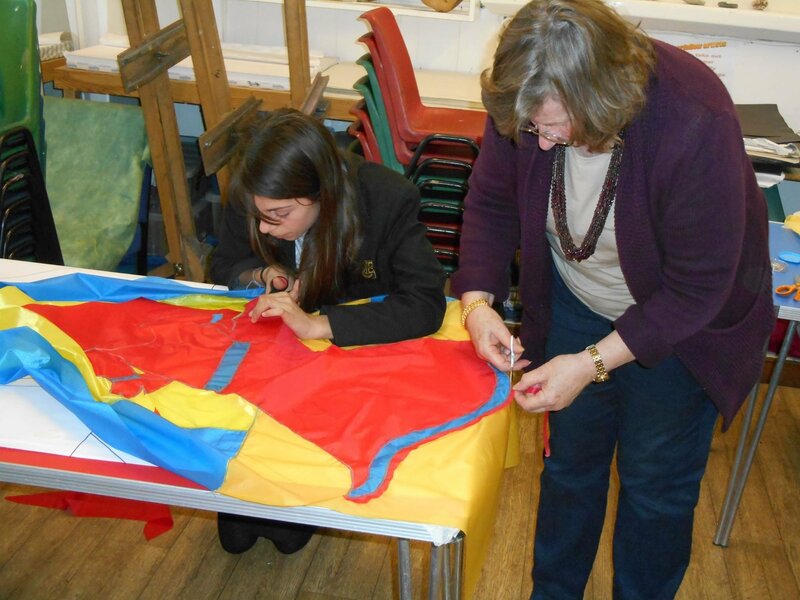 In 2013 and again in 2016, flag making workshops were held in an empty shop on the High Street, which proved a very successful way of engaging more people in the creative process. 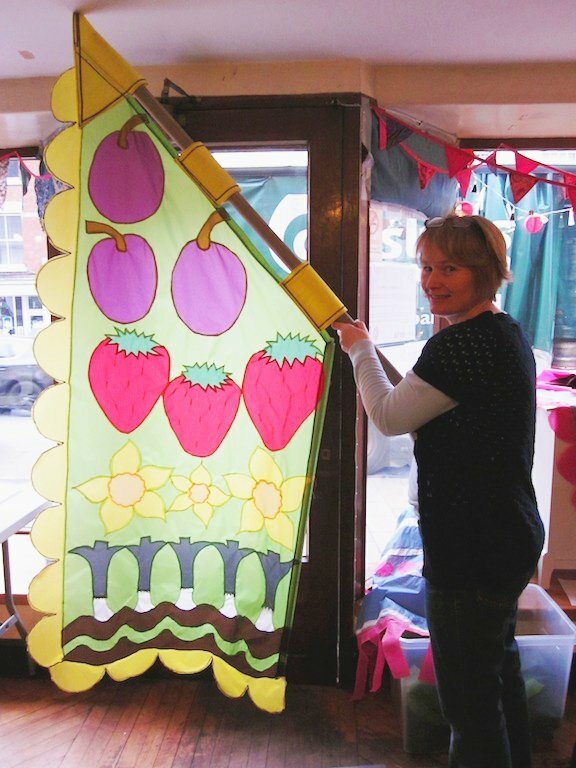 In 2016, as well as making 8 new flags, we took the project in a new direction by inviting community groups to make large patchwork banners to decorate shops and public spaces throughout the year. 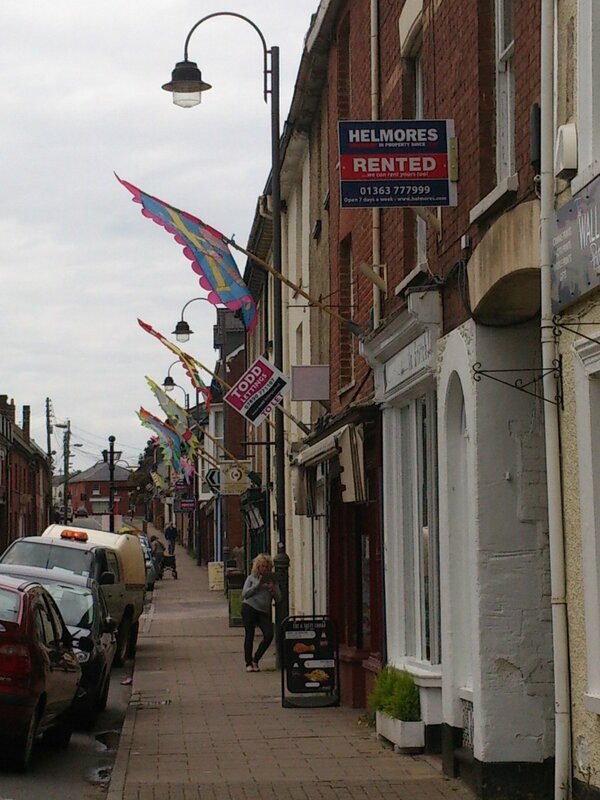 In its first year the project was paid for by Mid Devon District Council through the High Street Innovation Fund (HSIF), a government grant aimed at regenerating town centres. 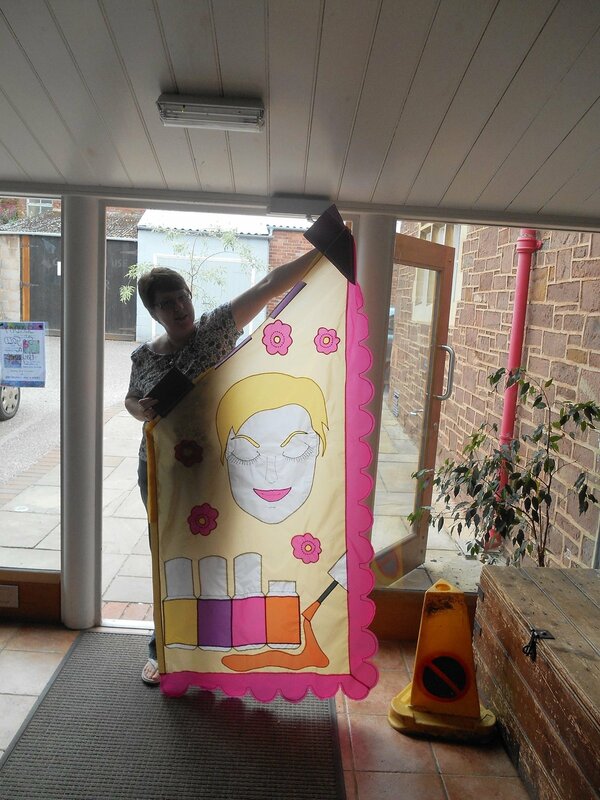 In 2016 we were delighted to receive a further grant from the HSIF, in recognition of the important role played by creativity in keeping our High Street alive. 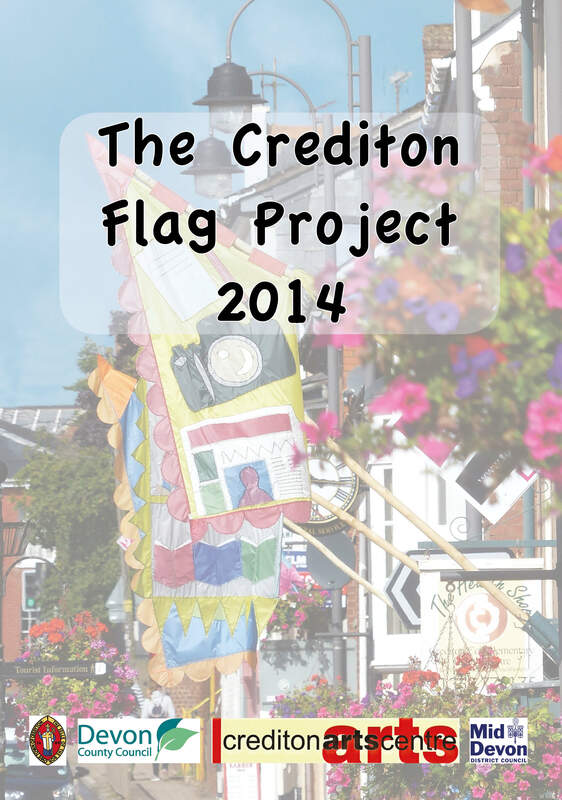 We are also grateful for regular support from Crediton Town Council and many local traders, who have not only contributed financially to the project but volunteer to put the flags up and take them down again. 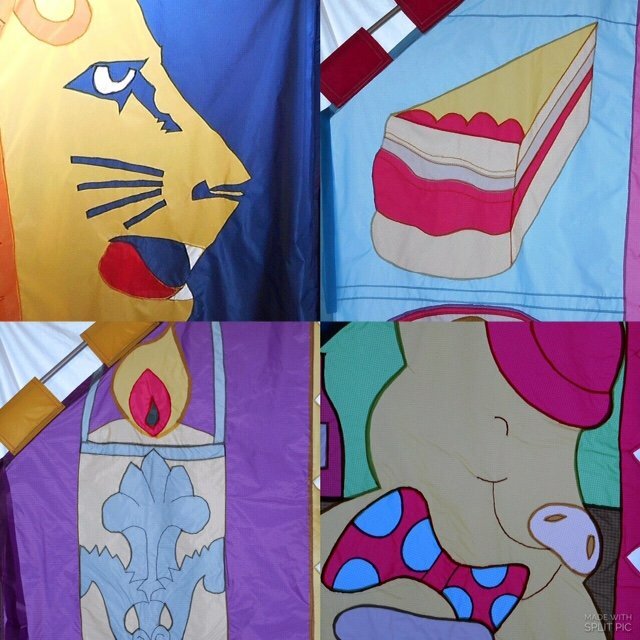 Two highly illustrated books have been produced to commemorate the Flag Project; the initial group from 2013 and an update for 2014. 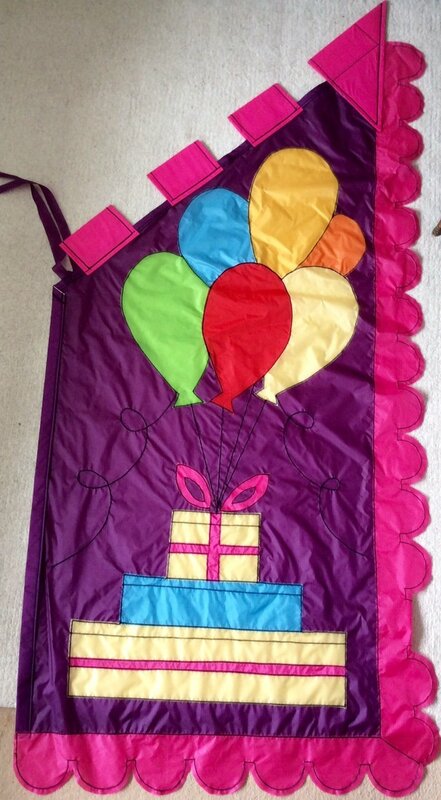 They are available for only £9 and £5 direct from Lulu. 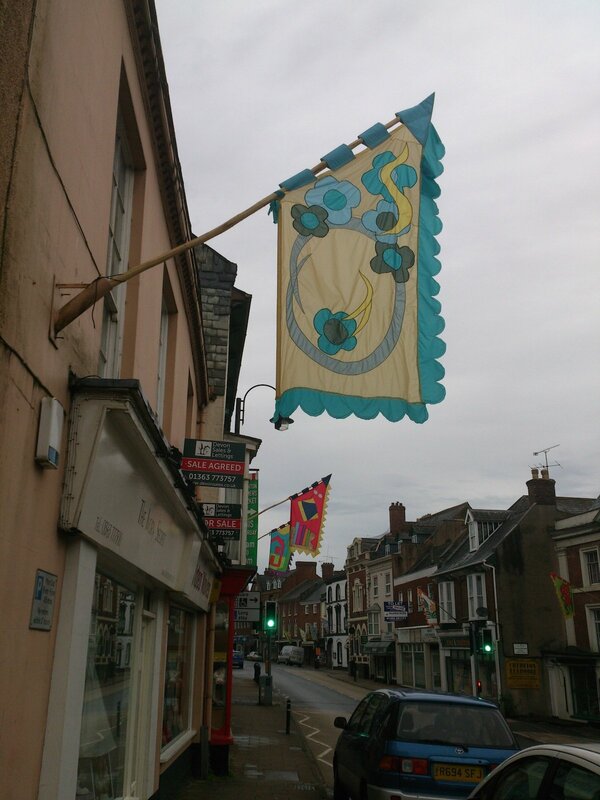 The Crediton Flag Project 2013 captures the time when Crediton High Street was transformed by 40 flags celebrating the many businesses and voluntary groups that make Crediton such a vibrant community. 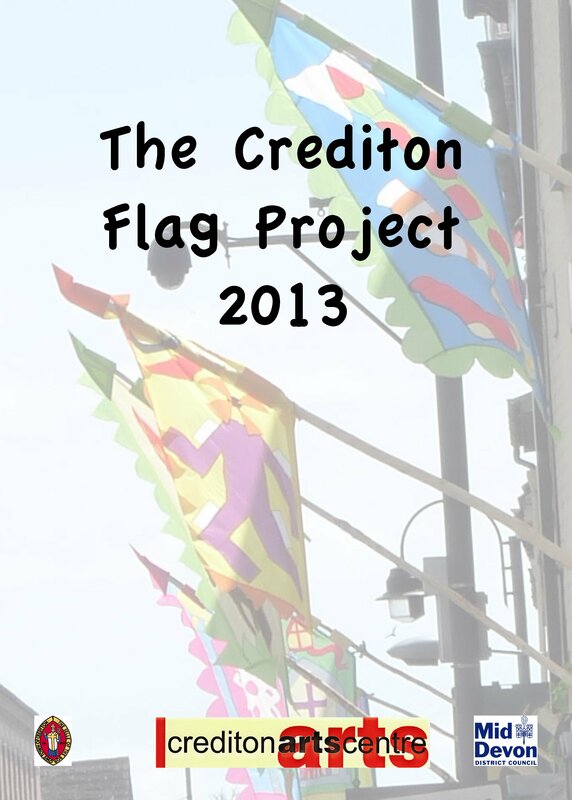 The Crediton Flag Project journal presents every flag that was up on the High Street during Crediton Festival 2013 in detail and in glorious colour. Read all about the project: from the initial funding; through the designing, making, hanging and taking down of the flags; to plans for the future.